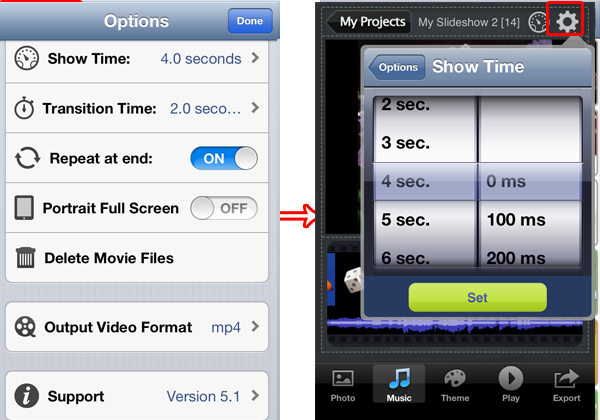 The default time for each slide and transition is separately 4.0 seconds and 2.0 seconds. However you can specify the duration for all slides and transitions. Tap the gear icon, in the Options group, select speed that you want in the Show Time list and tap Set button. Tap Transition Time and select duration that you want to set time for transitions.